Understand, analyze, and evaluate the impact of social and/or ethical issues related to information-processing and publishing technologies. You will demonstrate a greater cultural understanding of the characteristics and conventions of Manga art through a study of Japanese artists. You will demonstrate a greater understanding of how information-processing and publishing technologies employ Manga art. WARNING: The Manga forum is a place to share ideas and thoughts on Manga. You must respect each other's ideas and thoughts. NO TROLLING is allowed. You will complete a 350 to 400-word research paper (or multimodal equivalent) on Manga. This is a formative assessment task. 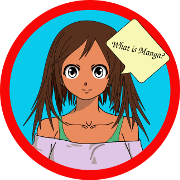 It is designed to assist you and your manga class-mates, to discuss and reflect on your thoughts concerning Manga. Manga History: What interested you and why? Anime Characters: Which ones appeal to you and why? Technology: What types of technology have been employed by Manga artists? and watched the What is Manga? Presentation and BBC Report on Manga. researched the internet for more information and Manga and Culture and Technology.